Start in Bangkok and end in Koh Phangan! With the beachtour Full Moon Intro (from Bangkok to Koh Phangan), you have a 11 day tour package taking you from Bangkok to Koh Phangan and through Bangkok, Thailand and 2 other destinations in Thailand. Full Moon Intro (from Bangkok to Koh Phangan) includes accommodation in a hotel and hostel as well as an expert guide, transport and more. Looking for the most incredible adventure of a lifetime? Perfect, you've found it! This all-new tour will let you explore three of Thailand's most popular destinations - Bangkok, Koh Tao and Koh Phangan - in just 11 days! If you have a short amount of time, but need your Thailand fix of buckets, beaches and (of course) the infamous Full Moon Party, this is the perfect tour for you. 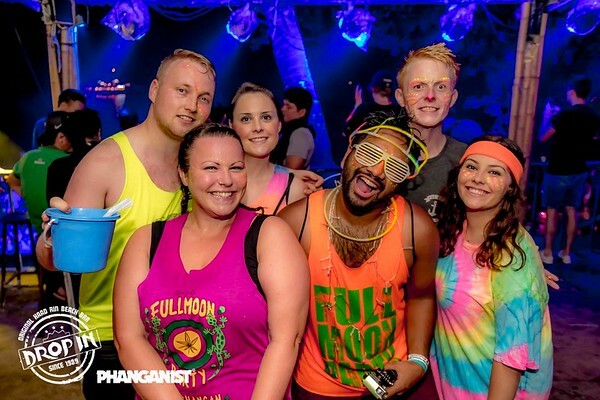 Experience the bustling streets of Bangkok, soak up the endless sunshine in Koh Tao and stomp your feet off at the world famous Full Moon Party in Koh Phangan. In just eleven days, not only will you encounter true Thai culture mixed with activities only dreams are made of, but you will be doing so with like minded people who want nothing more than to enjoy the paradise that Thailand has to offer!